That is too funny!!! 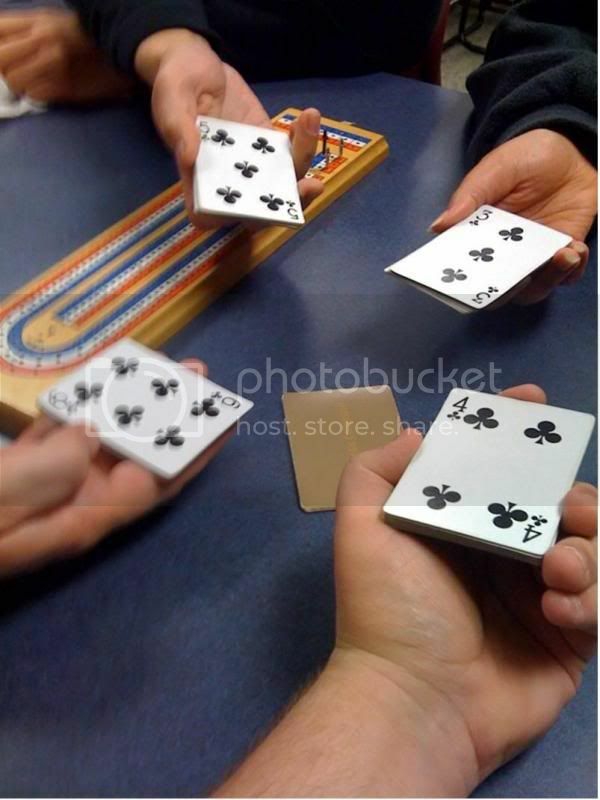 :) I'm surprised you guys play cribbage out there...when I went out west to Seattle onetime they looked at us like we were idiots because they had NO idea what cribbage was! hahaha people play cribbage, I just don't think it is a game that many play. :-) Another game that I really love that is more midwest oriented is Euchre. Cribbage is really just about the best two player "regular" card game in existence. Euchre is fun too, but I much prefer Pinochle.